Penny Unniversity's brand new video! Our Love Is Eternal. 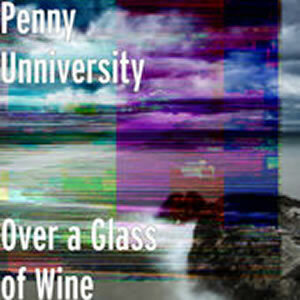 Penny U's latest original song. 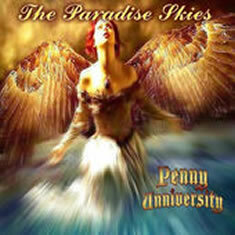 Penny U's original arrangement of the Christma Classic: We Three Kings! 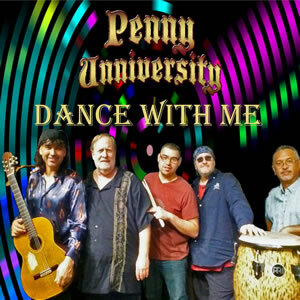 A concert featuring the eclectic music of Penny Unniversity live at the beautiful La Quinta Museum. A concert featuring the Coachella Valley's best Musical Talent featuring: Faults of Andreas, Lauri Bono, Kal David, Will Donato, Kevin Henry, John Stanley King, Ronnie King, Steve Madaio, Barry Minniefield, Jimmy Palmer, Penny Unniversity, Sergio Villegas. Penny Unniversity would love to play for you. Please contact us to make the arrangements. 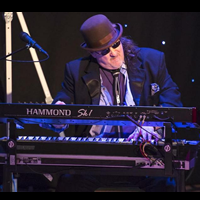 Creating new music for the world was a must in order to classify the intermingling styles of Jazz, Fusion, Latin, and Global rhythms in their songs. 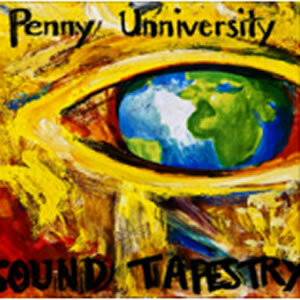 Penny Unniversity's sound (the Unniversity in their name is intentionnaly mispelled for strategic reasons) is full of catchy melodic instrumental hooks and grooves that allows their music to not be limited to either age or genre. Music is emotion, and it should translate - without words - the true feeling of the song. 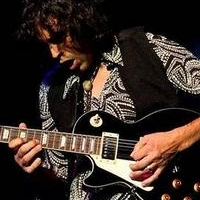 There are no language barriers in instrumental music. No politics, no biased points of view, or rhetoric. 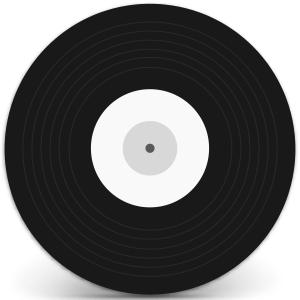 There is only the compilation of notes brought forth with skill and unity to produce an experience for the listener as well as the player. After graduating high school in Palm Springs, CA. Tony moved to L.A., where he quickly landed his first major recording gig, collaborating with the songwriting hall of famer, Lamont Dozier. 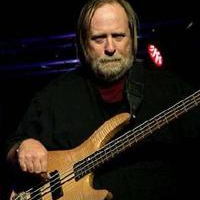 In addition to co-writing several songs, he arranged and played drums, bass, guitar and keys on various albums. During the same period, he also co-founded and played with the underground funk band General Caine, recording a number of albums. In '84 Tony began touring and recording with Chaka Khan, eventually becoming her music director. From this, he went on to record and tour with many well-known artists including Michael McDonald, Janet Jackson, Patti Labelle, The Temptations, Was Not Was, George Michael, ABC, Michael Jackson, Rick Astley, Paul Young, Solomon Burke, and Smokey Robinson. Patler's credits also include film soundtracks and co-writing songs for Janet Jackson, Chaka Khan & LTD among others. 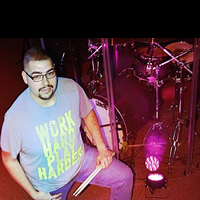 Born in Los Angeles, Jose "Louie" Rodriguez was raised in Palm Springs CA where he learned to play the drums, becoming part part of his parent's church worship team which also lead him to learn piano and bass, later becoming the Music Director. 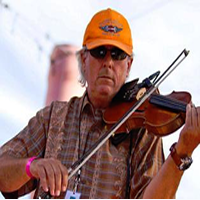 He became a part of his church organization's state band, while traveling around the state of California and other states. He also became the lead drummer for a local christian artist. He returned to school to learn music theory and studied latin jazz and became a part of the drum line at a local community college "ELAC" under the direction of music professor Jesus "Chuy" Martinez. His influences were and still are drummers like Alex Gonzalez, Chris Colemen, Rex Hardy Jr, Calvin Rogers and many more gospel drummers and bassists like Andrew Gouche, Robert "Buddy" Lewis, and Bryant Siono among others. Louie is now the Music Director for his local church Centro Libre Cristiano "CLC" and the most recent member of Penny Unniversity. Bobby toured and recorded with such artists as: Leonard Cohen, Eric Burdon and The Animals, Nancy Sinatra, Lee Hazelwood, Pat Boone, Love and Rockets, Grant Lee Buffalo, Dolly Parton, Freddy Fender, Gene Pitney, Hank Tompson, James Burton, Jim Dickinson, Wanda Jackson among others and has appeared at Carnegie Hall, Jay Leno's Tonight Show, The Royal Albert Hall and played on the Grammy winning movie The Wonder Boys. Penny Unniversity would love to hear from you. Please contact us.